Getting your Facebook account hacked is one of the most stressful situation. Think of the things that hacker can do to your account? What if the hacker will abuse and delete all your personal information or your Facebook account itself? It’s a great nightmare. Right? To prevent this scenario from happening, a regular password update or changes will be of great help. 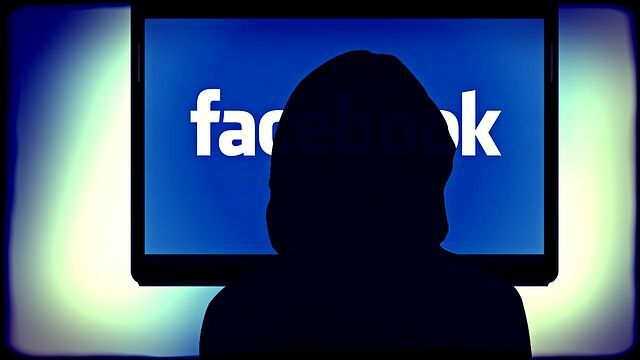 However, if your Facebook is already hacked, the first thing you should do is – don’t Panic! Then take immediate action. How would you know that your Facebook account is hacked? Of course there is an obvious changes in your Facebook account. In my experience, someone sent a message with link, to my friends without me doing it. Then, I received an email notifying me that I changed my password, but I did not. What if there is no changes? Try to navigate at the top-right of your facebook account → click the triangular-arrow-down -> settings -> security -> where you’re logged in. In this section you will see the last time you access your account, location and type of device used. If someone hacked your account you will also see that information in this section and you can easily end the hacker’s activity immediately. • Open that email, make sure that the sender is security@facebookmail.com. • Click “If you didn’t do this, please secure your account”. • Click “this was someone else”. • Provide the right answer to the security questions. • Finally you can now log in, to your Facebook account. What if the password has been already changed by the hacker?It means that you cannot access your account to change your Facebook password. The best remedy would be to reset your password. • In Facebook log-in area, click “forgot password”. • Type either your email, phone, username or full name then hit “Enter” or “search”. • Then, click “this is my account”. • Select the best way to recover your Facebook account via email or phone, click continue. • Check your email or phone for the confirmation code. • Enter the six digit codes, click next. 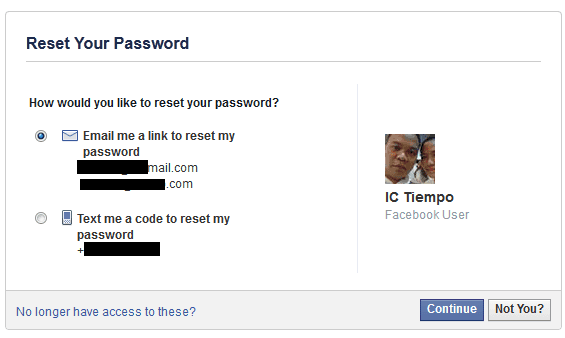 • Type your new password, tick “Log me out of Facebook everywhere else my account might be open” then continue. • Congratulations! You just regain access to your Facebook account. Most hackers, hacked Facebook account for personal gain, such as sending out spam messages or advertisement to your friends. If that is the case, Report it as compromised. Since that you now regain access with your Facebook account, it’s time to tell all of your friends that your Facebook account was hacked. To justify yourself from any damage or abuse done by the hacker using your account. • Hacker by accident – this people just accidentally open your Facebook account because you checked the “keep me log-in”, while logging in your account and forgot to log-out. So, be careful when using public computers such as, cyber cafés. • Facebook password hacker/hacking software – some hackers are using software such as key-logger to steal your Facebook password. • Facebook hacking website – be vigilant and don’t open any link from your email if you don’t know the sender. Only log-in using the Facebook website. • Third party apps – select only the trusted apps, while it is not 100% safe, downloading apps from Google play is still the best bet.How to prevent your Facebook from getting hacked? Well, a simple commonsense will do. Just follow the guide below and make it a habit. 1. Always unchecked the keep me logged in box before signing in. 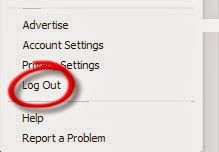 Highly recommended, when you are using computers in cyber cafe’s, friends and classmates. To be safer unchecked it even in your own PC. Learn more: Why should I unchecked the keep me log in box in facebook? 2. Always log out your facebook account? Learn more: Why should I always log out my account and three (3) reasons many didn’t? 3. Always erase your browser’s history and cookies. Learn more: Why should I erase browsers history and cookies? 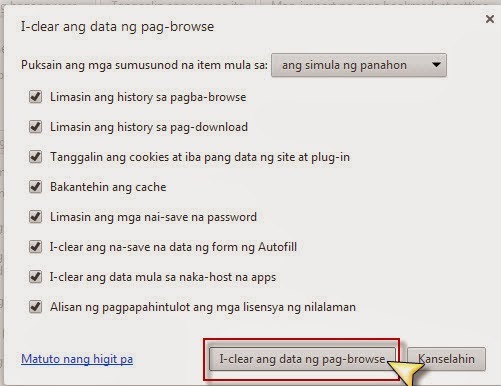 and How to remove browsers history and cookies? Facebook account hacking is rampant now a days, if you follow these habits it will not make your facebook account invincible from hacking but at least it is now harder for them to do so. • Facebook login alerts – by enabling this feature, you will receive an alert message whenever you or someone logs into your account using different device or browser. • Login approvals – this security feature will require a security code to access your account from unknown browser, phone or computer that you haven’t used before. • FB code generator – when set-up, this is useful in resetting your password or generating login approvals security code. For mobile users only. • App password – it’s a safety net, because some Facebook apps can’t receive security codes which could locked you out if you have your Login approvals “On”. You can use the generated app-password instead of your account password to securely login to your apps. For mobile users only. • Facebook Trusted contacts – select trusted contacts from your friend’s list to help you, whenever you have problems in accessing your Facebook account. • Your browsers and apps – this is where you can review your most used browsers or apps. In conclusion, facebook account hacked problems is common but preventable. The simple steps above are effective ways to recover your hacked Facebook account and latter part are ways of preventing Facebook account hacked issues. If you have better ideas on how to prevent Facebook account hacked problems, feel free to comment below, it will be highly appreciated. 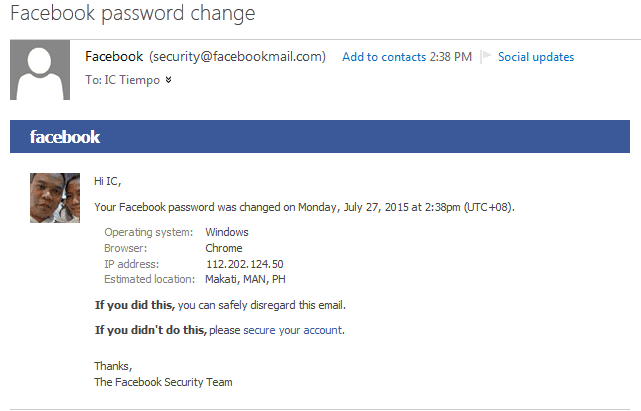 Thank you, I was able to recover my hacked Facebook account. More power. I have got problem while logging in. I forget my both email and phone number. So plz can you advice how can i log in with my facebook account? Hello OM bahadur, sorry to hear that but as your case, you need to contact support. If you forgot your email and phone number it means that you are not using Facebook often. So, next time, have a list of your email, phone and passwords or use a password manager. So that, you will not go through this kind of trouble again. My Facebook has been hacked n my cell phone to.what do I need to do to stop this?? Hi, please always log out your account and uncheck the “remember me” radio button every time you log in your account. Hello, Gmail and Facebook usually sends you a message that your password has changed, giving you time to reset your password immediately. However, if that’s too late for you, try to log-in your gmail, click on forgot password, it will prompt you that it will send a code to your phone number. Wait and input the code to start resetting your password. Then, do the same on your Facebook. It ask for a identity pic, I did that but still don’t how to get back in. If you are able to answer it correctly, you should be able to login again. However, if the issue persist, please contact Facebook support.